Welcome to Tekton Steel, a reliable El Paso Texas welding service and repair company. At Tekton Steel, we design and build all types of functional items such as trailers, cages, stainless steel cabinets, fire service equipment and steel and metal fabrication. We offer customized steel products for outdoor, recreational or professional needs such as Hunting Blinds and Feeders, Quad and Motorcycle Trailers, and more, in a variety of designs that suit all terrain and weather conditions. We make custom built utility trailers and trailer accessories including ramps, racks, spare tire holder, tank holder, and ramp gate. We have done work building and installing equipment for the local fire departments. Fire Department gear available upon request: PPE Dryer, SCBA bottle rack, CPAT Machine, Hose Racks, Hose Rollers, etc. Also available here in El Paso, Texas, we do on site field welding. That means you can call us for custom wrought iron fences, rolling gates, horse corrals and repairs, for your home or business. 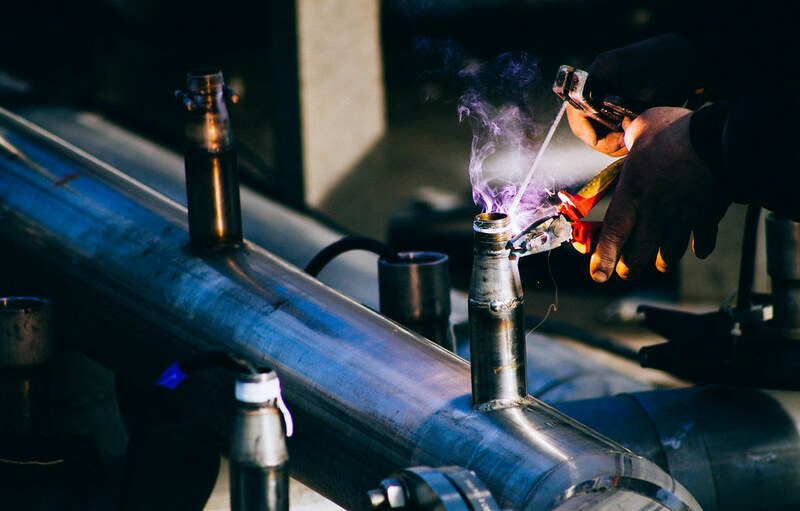 We do TIG, MIG, and Arc (stick) welding, so the fabrication and welding of aluminum and stainless steel is always available. For a rustic look inside the home, click on our line of horse shoe shelf brackets and wine racks. Have a design you want made custom for your kitchen, bathroom, or décor? Please email or give us a call. Thanks for visiting our website. Check back often for new products and deals. Custom Welding work as well; just give us a call or email. We are professionals with certification in what we do best. We pride ourselves in the quality of our work and the high standard we set for ourselves. No customer would be left unsatisfied!